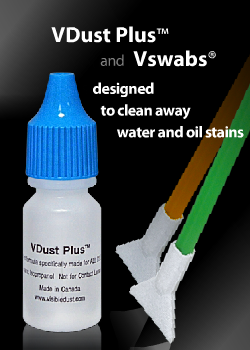 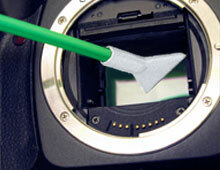 Brush the sensor surface with Sensor Brush™ or use VisibleDust Hurricane blower to remove any contaminants. 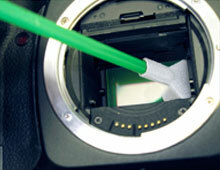 Wipe across the sensor with gentle pressure "Once". 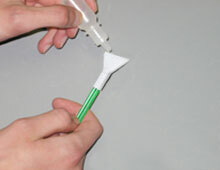 Discard the swab. 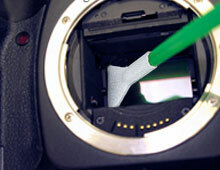 Allow the sensor to dry out completely. 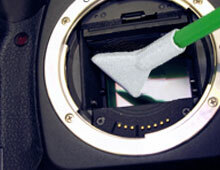 If needed, use the Sensor Brush™ for complete cleaning.